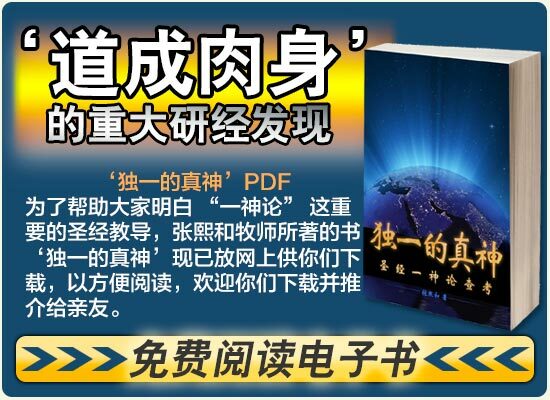 "The Only True God" English PDF To help you understand the important teaching of monotheism in Bible, we have put the book "The Only True God" by Pastor Eric Chang on the Internet for you to download. You are welcome to download as well as recommend it to your friends. Download "The Only True God"